6061-T6 American Standard Aluminum Channel, or U-Channel is used for structural support in trailers, walkways, ramps and other structural applications where light weight and corrosion resistance are required. 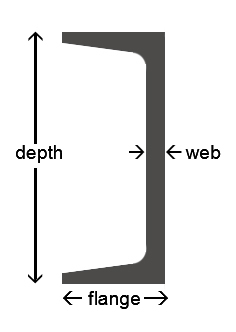 Sizing is shown as depth by flange, followed by web, in inches. 6061 american standard channel is used for all structural applications, support and transportation applications. We also carry these products, similar to 6061 Aluminum Standard Channel.